Dr Elizabeth Roberts-Pedersen is a Lecturer in History in the School of Humanities and Communication Arts. She received her PhD from the University of Sydney in 2007. 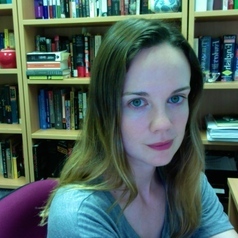 Elizabeth is interested in cultural and social histories of modern warfare. Her work has examined the experience of 'soldiers of conscience' in nineteenth and twentieth century wars, regimes of discipline and punishment in the armed forces, and wartime psychiatry.